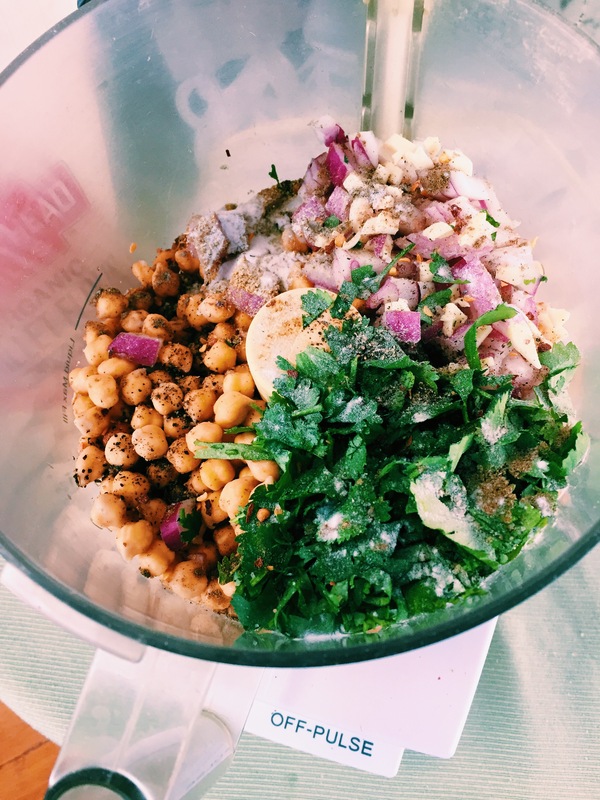 I’ve been craving falafel recently so I decided it was finally time to make some! 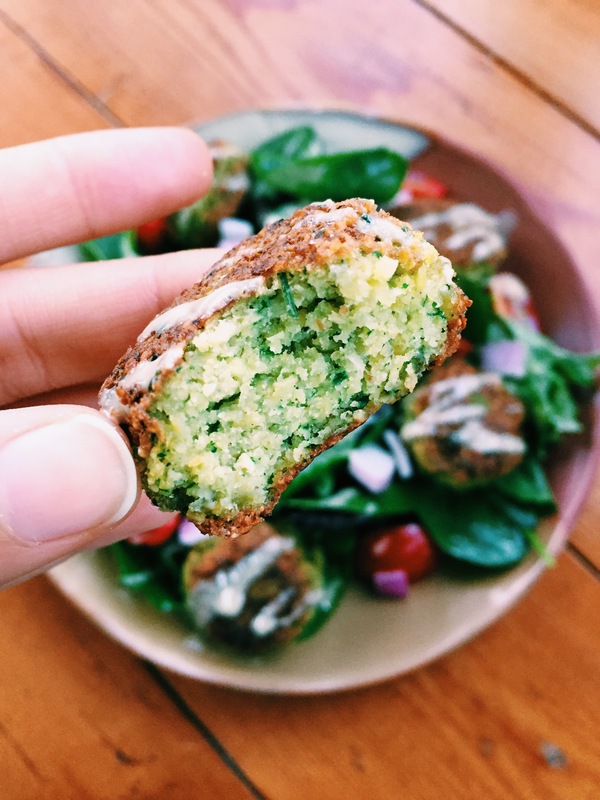 I grew up eating Mediterranean food but if you are unfamiliar with falafels, I would describe it as a crispy, chickpea fritter. They are so delicious and unbelievably easy to make! This was my first attempt, and I am happy to announce it was very successful. 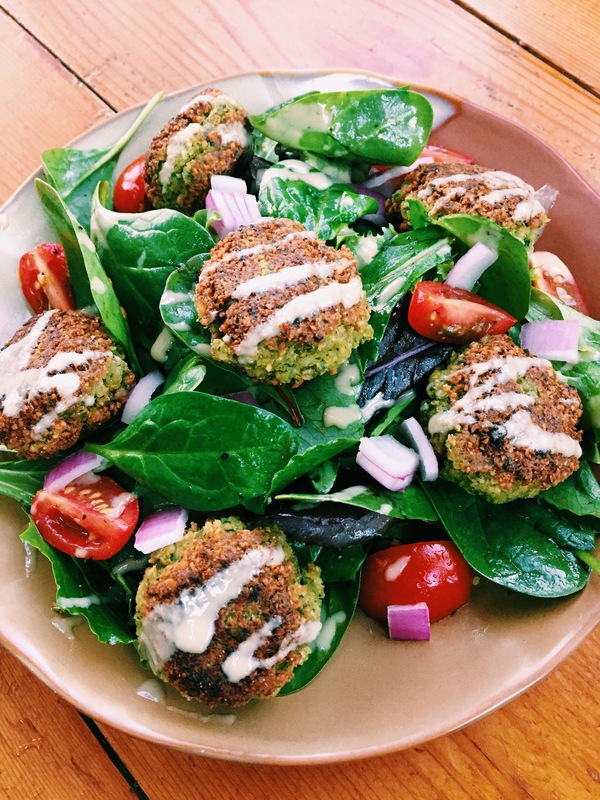 Healthy, protein-packed, vegan, gluten free deliciousness. Please give these a try! 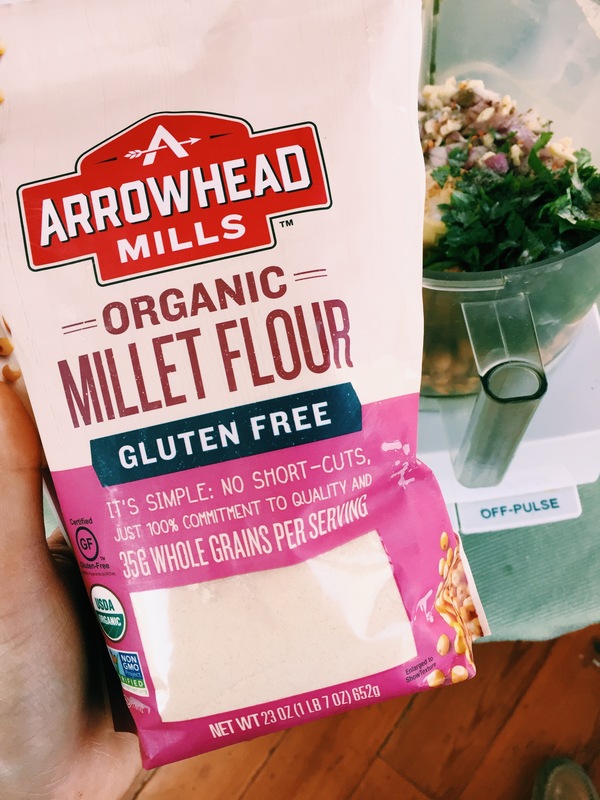 You can use any kind of flour, but I chose organic millet flour. 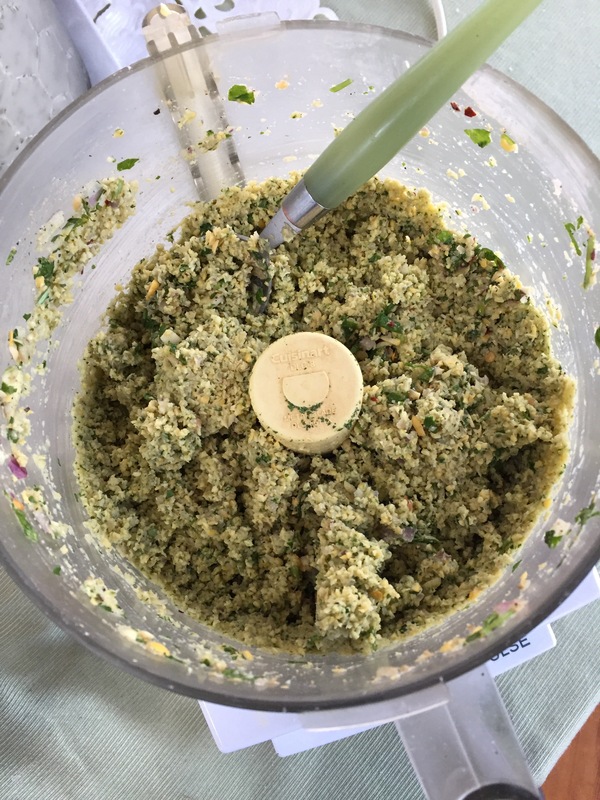 Millet is nutrient dense; it has B vitamins, calcium, iron, potassium and magnesium – all essential for good health. Taste for salt. Seriously, these will be sub-par if they are under seasoned! 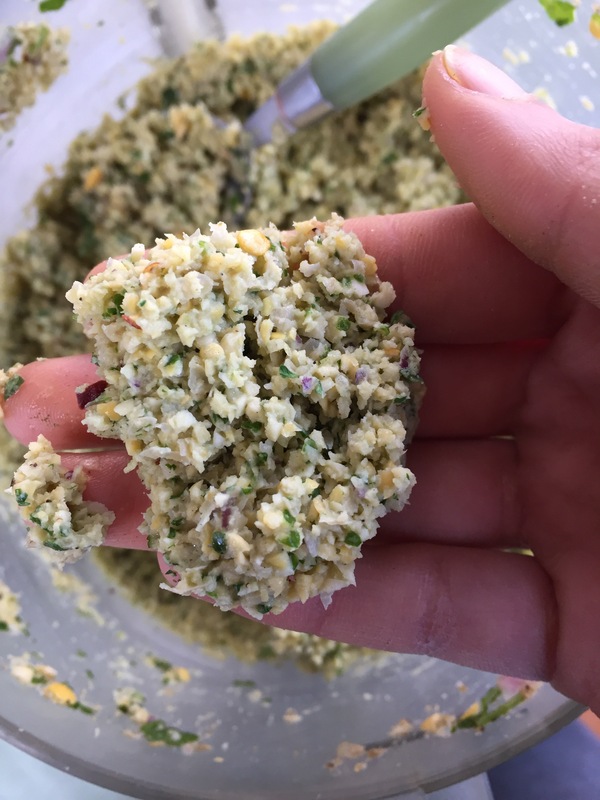 If you squeeze the mixture, it should hold its shape. If not, add more flour as needed. 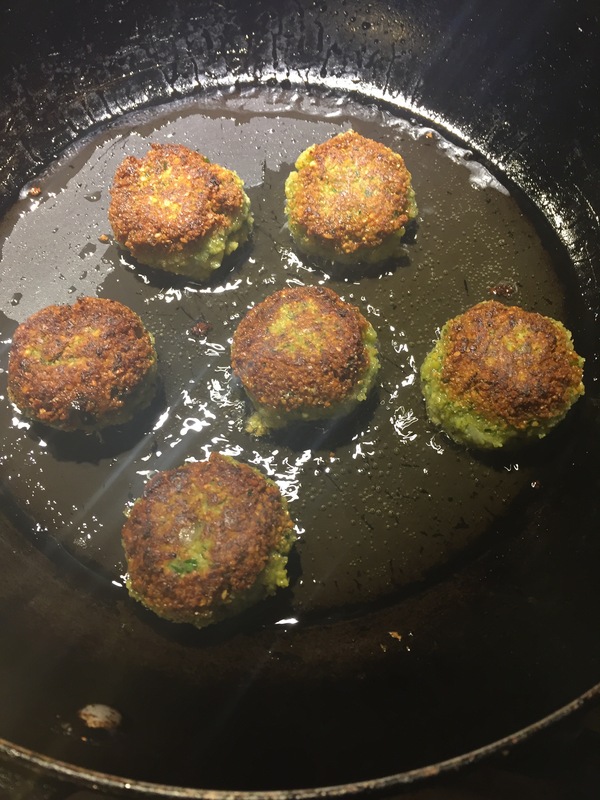 Form into balls or patties and pan fry in olive oil until crispy. It should take about 3 minutes per side. Don’t be afraid of frying! People have done studies measuring the amount of oil before and after frying.When done properly, it’s remarkable how little oil is actually absorbed. Having said that, you can also bake these at 350 for 20 minutes. Mmmm…. 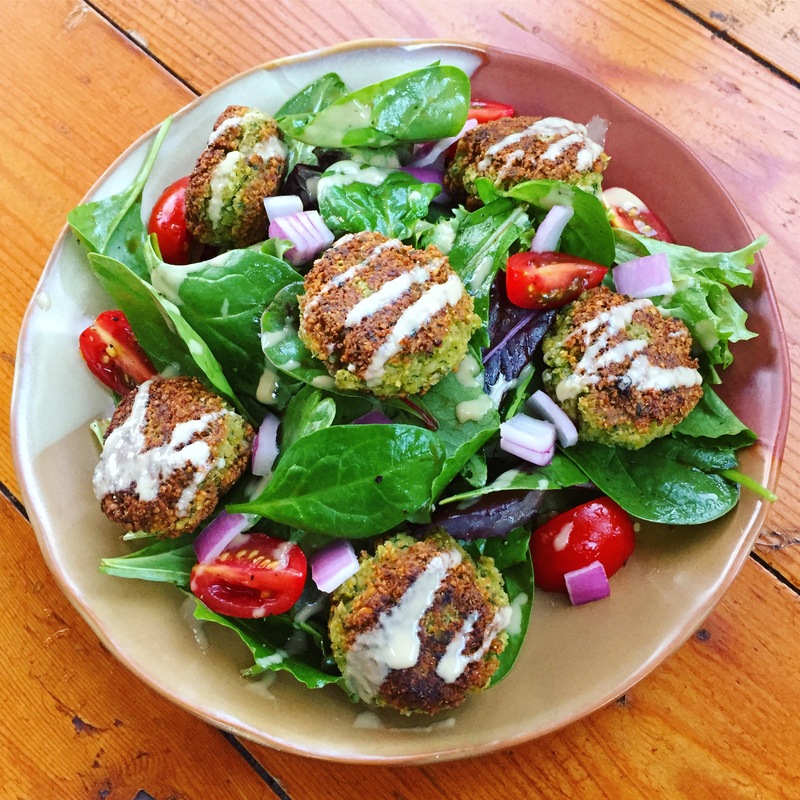 I put them on some salad and drizzled with tahini! Sooo amazing!